If you’re a permanent Instagram resident who spends your days outlining Insta-strategies, researching hashtags, and making content plans, time flies quickly. New features debut almost every month and discerning trends is challenging. Instagram Stories are on many brands’ radar for good reason. Over 300 million view Instagram Stories every day and one-third of the most viewed Stories come from businesses. 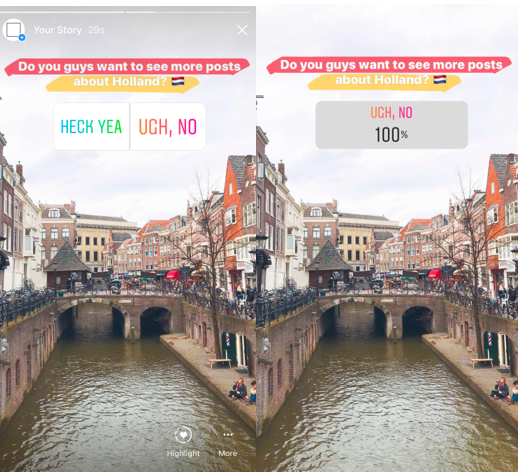 It’s no longer a question of whether you should use Stories in your Instagram strategy, but how you should do it. Consider these seven fresh ideas to spice up your Stories and use them in a way your competitors haven’t yet thought of. When new users land on your Instagram profile, they probably don’t know who you are (yet). Most accounts usually rely on a short bio to make that first impression – you’ve heard a million times before how important it is to have a great Insta bio that catches the eye, quickly explains what your business does, and convinces new visitors to click that follow button. However, with the addition of the Highlights feature, the bio section is not the only place where you can tell your brand story. Think of Highlights as a short trailer for your business, and it suddenly becomes a perfect opportunity to show what you’re all about and give a sense of what you offer. 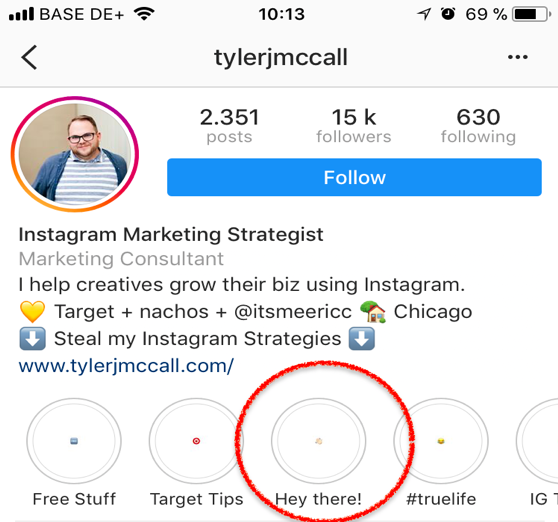 Example: Do you know Tyler J. McCall, an Instagram marketing expert? Well, if you click on the “Hey there” highlight, you will. Often, a straightforward “Hi, my name is X, I do Y, and I love Z, check it out” is the only intro you need. It works because it’s so simple. Collaboration with influencers is an ever-growing Instagram trend, but many brands execute it by paying for a few sponsored posts on an influencer’s feed, crossing their fingers, and praying for a few new followers to come through the tag mention. 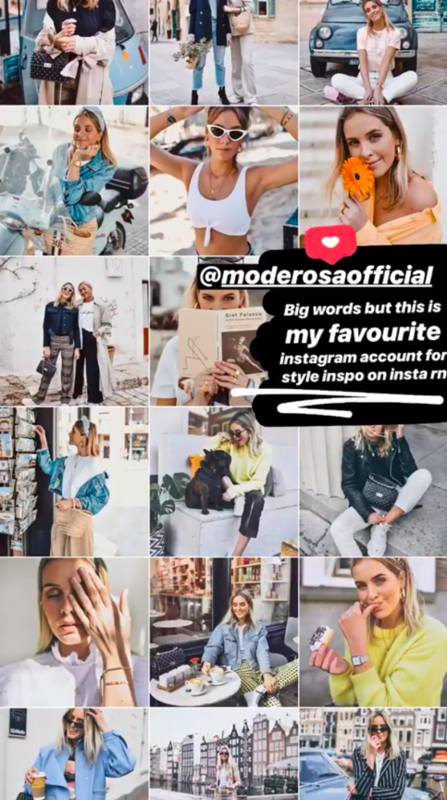 A Stories takeover – an influencer of choice takes over the brand account for, say, a day, to produce exclusive content – is a relatively new trend on Instagram. Why does a takeover work better than a standard influencer collaboration? The incentive for the influencer’s followers is different. They’re not urged to follow the brand but encouraged by the influencer to see what he or she is doing on the brand’s account. 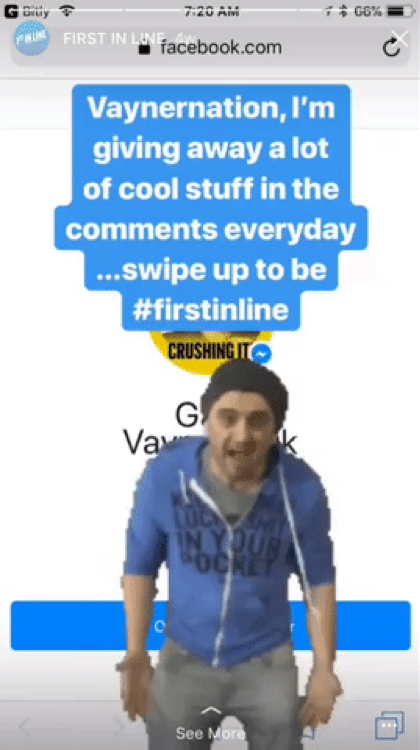 The subtle promotion is more effective if you’re looking to increase reach and drive traffic from Instagram Stories to your site or special offer. While polls are a great tool to engage your audience, you can also use them strategically for audience research to create better content that resonates with your followers. Instead of asking something for the pure entertainment, find out what kind of content your audience wants to see on your account. For instance, if your account focuses on travel­, ask about a destination you think your audience wants to see and learn if your followers are interested in it. The answer may surprise you. But either way, you’ll learn if you should share more about that destination or not. When you’re short on ideas, your audience members can be a great source of inspiration. You just need to ask their opinion. The world rejoiced when Instagram introduced GIFs in Stories, but the joy didn’t last long. After five weeks, Instagram yanked the Giphy integration due to a racist GIF that found its way into Stories. Giphy has been cleaning up its content, though, and is back on the Stories scene. Also, don’t miss out on fonts and stickers. While Instagram offers stickers, it doesn’t update them often. To stand out of the crowd, you can turn to apps like Design Kit from A Color Story, which offers 30-plus modern fonts, 120-plus designs, and a ton of stickers to help your brand be unique and, ultimately, attract more followers. Highly competitive and the fastest growing platform, Instagram was touted as “all about community,” but the harsh reality was few people really wanted to help anybody. Brands wanting to be featured need to pay for every single mention, every single shoutout. One of my favorite trends in the Stories arena is a sequence of seamlessly cropped videos that together present a longer film that would otherwise be impossible to post on Stories due to the 15-second restriction. You can use Storeo, a free iOS app. You can upload your long video and slice it into smaller parts, maintaining the flow and transitions as smoothly as possible. Last, but not least: Use questionnaire templates. They are great for standing out from the crowd, great for engaging your audience, and great for giving followers some cool freebies. It’s quite easy to create them online (check out Easil, for instance). However, it’s even better to create custom templates – and let your followers screenshot them. 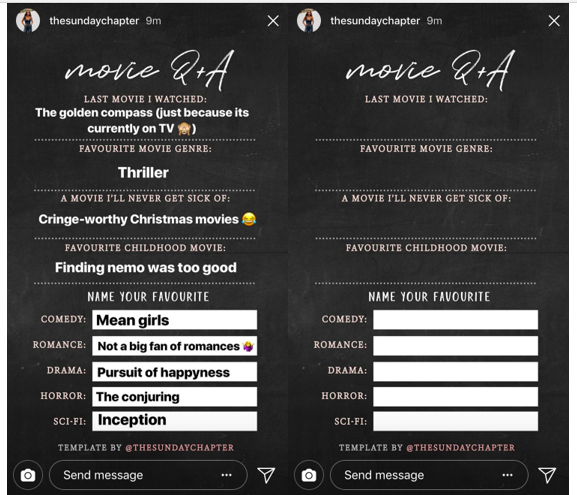 ­­­­­­­­­­Quizzes and questionnaires are great to entertain your followers, but if you give them a free template to use, that’s even better. 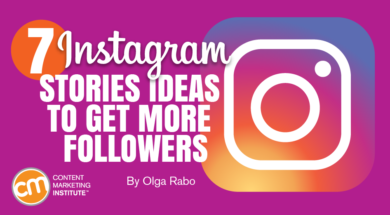 As the Instagram algorithm gets tweaked all the time, growing your followers remains a challenge whether you’re an established brand or a humble beginner on Instagram. If you’re looking to expand your reach, Stories are an absolute must — the platform is not going to let them go. Can you recommend another way to use Stories to expand your reach? How well is Instagram incorporated into your content marketing strategy? Learn more about how to use this fast-growing social media platform at Content Marketing World Sept. 4-7. Register today using code BLOG100 to save $100. Do it by May 31 for early bird rates. Olga is a demand generation manager at Iconosquare, the industry-leading social media analytics suite. She develops content marketing strategies, with the focus on generating trials through the Iconosquare blog and maximising the presence and exposure for Iconosquare. Previously, she ran content marketing for a SaaS startup in Berlin. Feel free to follow her on LinkedIn or connect through Instagram!